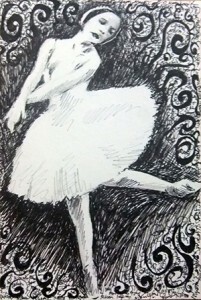 My daughter’s pen and ink drawing of a ballerina. I once dreamt of sending my daughter who was in grade school then to a ballet school. I was considering this popular ballet school along Quezon Avenue. I even inquired about the tuition and ballet uniform but we were not able to enroll when my son got sick. I was hoping I could still send her to ballet school years later and buy her dance gifts from ballet gift shop, but my daughter is no longer interested. She developed a liking for art (drawing) and is now preparing a career in digital art. This entry was posted in Kids and tagged art, ballet, ballet dancer, developed a liking for art, digital art, dream, hobby on June 24, 2013 by Mommy Yam. These are my favorite words, according to my kids. If they don’t see me in front of the computer, I’m catching some sleep on the couch just a few steps away from my ‘work desk’. It’s a half-meant joke for my kids, but reality hurts sometimes. In fact hubby and I had a little discussion about me spending more time blogging than attending to the wifely duties. I can’t blame him. But what will you do, if you were in my shoes? Will you just drop the activity that you have grown to love for several months just like that? I bet it will be difficult for you too especially if you started receiving opportunities and get paid for it. He also stressed the fact that I no longer sleep in our bedroom. If you were following my post in the early part of this month, I posted about my nightmare sleeping on our mattress. Every morning, for the past several months, I wake up feeling this stabbing pain on my back and the back of my neck. I can’t move without the help of my husband. So that’s basically the reason why I spend the night on the couch while hubby is soundly sleeping in the bedroom lol. So we made a deal, he said we’ll have to wait for his salary on the 30th of this month and he will buy us a new bed. 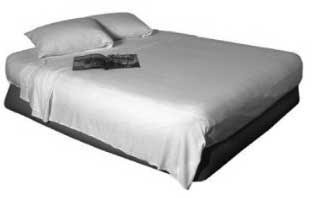 Since I will need a softer and lighter bed I suggest to him that we look for elevated air bed online. I’ve seen this aerobed for sale and comes with mattress pad and two pillows for just $113.30. Now, that my problem is partly solved. I guess I need to convince him to be more lenient with my blogging activity. And on my end I guess I will have to manage my time properly so I can accomplish more tasks at home. This entry was posted in Uncategorized and tagged family, hobby on January 14, 2010 by Mommy Yam. Hubby got me a new camera and a new laptop as late Christmas present. Both electronic gadgets mean a lot to my blogging activity. You know how important quality photos are in a blog post. 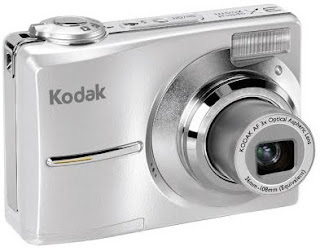 I’ve been using my camera cellphone for months now and you know the quality of images cellphone camera produces. 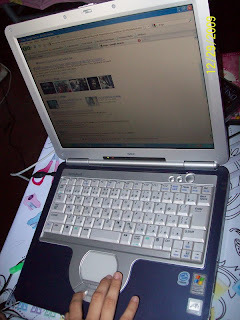 The idea of buying a second-hand laptop came when we received our monthly electric bill last month. We are figuring out how to minimize power consumption at home. According to hubby laptop consumes less power compared to a desktop. We’ll see about that. He got the items via Tipidpc.com. They are not brand new, but it’s okay with us. Anyway, that’s what our budget can afford for now. This entry was posted in Uncategorized and tagged family, hobby on December 29, 2009 by Mommy Yam.